DAVIS,Calif. 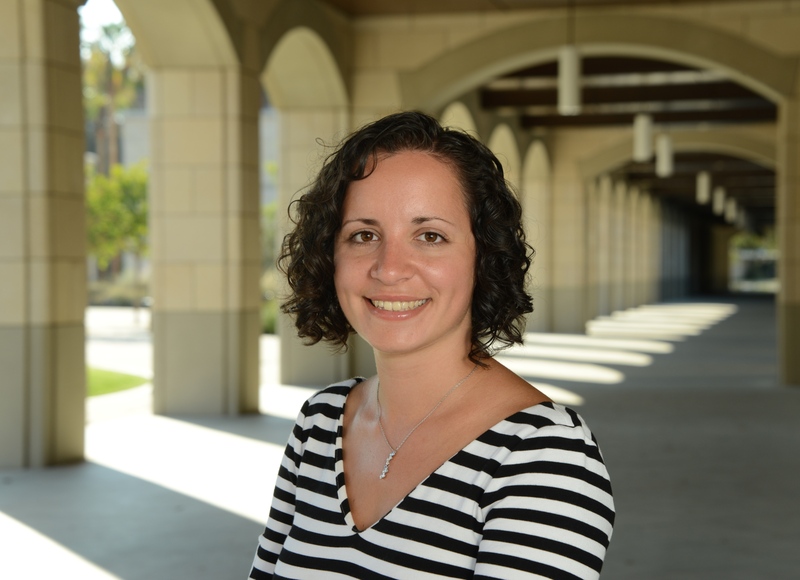 ; June 25, 2018 – The UC Davis Department of Electrical and Computer Engineering welcomes Marina Radulaski upon her appointment as Assistant Professor of Electrical and Computer Engineering. Radulaski was attracted to UC Davis for many reasons, among those including the university’s commitment to photonics and nano-engineering through excellent research, the Center for Nano and Micro Manufacturing facility growth, the ECE department’s collegial and collaborative environment, and the campus culture. She will start a nanophotonics research group in the spring of 2019. Radulaski is currently a Nano- and Quantum Science and Engineering Postdoctoral Fellow with the Nanoscale and Quantum Photonics Lab at Stanford University, where she is working on the topics of quantum optics, cavity quantum electrodynamics, color center systems and scalable solid-state photonics. She obtained her Ph.D. in applied physics from Stanford University and her undergraduate degrees in physics and computer science from the University of Belgrade and the Union University in Serbia. Radulaski has led over 20 invited academic talks at places such as Harvard University and University of Southern California. With over 250 citations on Google Scholar, she has contributed to over 10 journal publications, over 20 conference publications, and two book chapters. Radulaski and her work has been covered in various media outlets as well. Radulaski’s research topics include quantum optics and nanophotonics. Because many of the traditional technology developments are approaching constraints of physical laws, Radulaski looks to new approaches and opportunities at the intersection of the quantum, nano and photonic fields. Her research is unique because it takes advantage of light emitted from tiny defects in gems such as silicon carbide and diamond to explore their quantum properties for applications in information processing. When she starts a nanophotonics research group at UC Davis, Radulaski wants to begin contributing right away. Her goal is to innovate methods of communication and computing through the application of light and quantum phenomena. Radulaski plans to develop nano-scale devices capable of generating states of matter necessary to build the Quantum Internet – a big vision that brings together university and industry researchers. She also wants to push the limits of integration of optical circuits and develop new hardware architectures for specialized tasks such as machine learning. In addition to her research, Radulaski has been passionate about science outreach since her teenage years. She organized festival exhibits, school lectures, science camps, and social media and is a host and producer for Goggles Optional, a podcast where scientists from Stanford University share their professional and humorous thoughts in the field of science. Science outreach is important to Radulaski because she believes it is a societal responsibility to assist in stimulating interest in science in the younger generation and especially for those who do not have science role models or easy access to research. Participating in these activities has allowed her to expand her thinking, learn more about leadership, and familiarize herself more with the educational system. While not conducting research or participating in science outreach, Radulaski enjoys traveling, camping, hiking, and art. She is also active through sports such as basketball and pilates. To learn more about Marina Radulaski, you can visit her website and find her on Twitter.